This year's camp is June 10-14, 2019 at Augustana College, Rock Island, IL. REGISTRATION DEADLINE: Thursday, April 4th Please complete all nine sections of this registration form. There may be sections that do not apply to you, or your camper/participant. If you have any questions contact the Camp Dean, Pastor Jana Howson at crosswaysdean@gmail.com, or 309-229-9814. This year's camp is June 11-15, 2018 at Augustana College, Rock Island, IL. REGISTRATION DEADLINE: Thursday, April 19th Please complete all nine sections of this registration form. There may be sections that do not apply to you, or your camper/participant. If you have any questions contact the Camp Dean, Pastor Tony Metz at pr.tonymetz@gmail.com, or 217-592-2733. What church are you coming with? What grade have you completed? 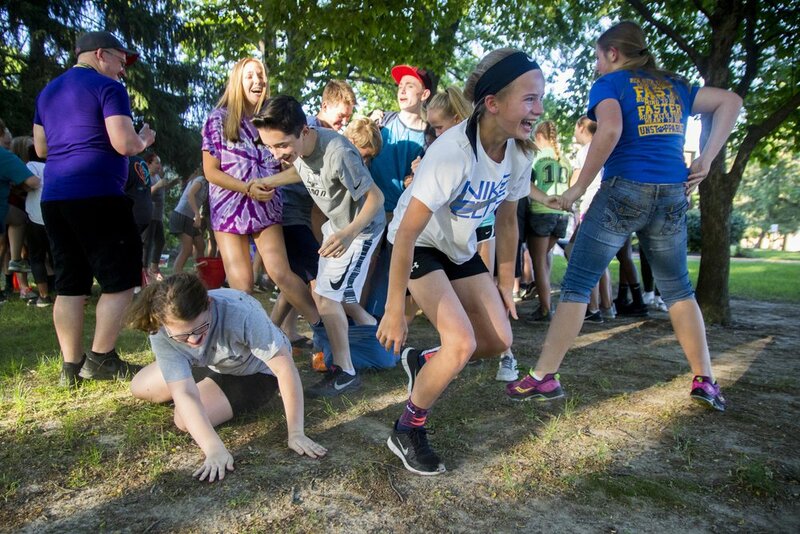 Whether it's our yearly "Wacky Olympics", our trip to the local water park, recreation at the awesome Pepsico Center, performing skits, or playing games we have tons of fun at Crossways Confirmation Camp! 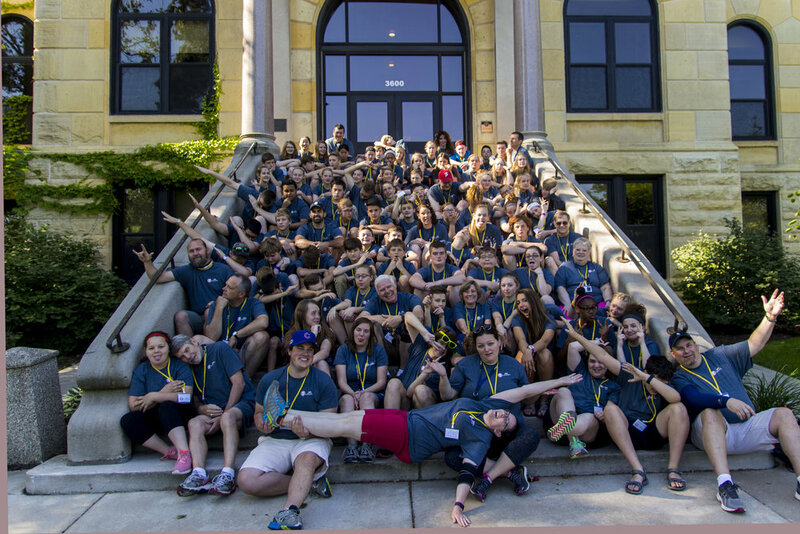 Crossways campers and leaders come from many different ELCA congregations throughout the region, but for one week in June the Holy Spirit gathers us into one, beautiful community. Crossways Confirmation Camp has been making disciples since 1989! Campers have the opportunity to grow in faith and discipleship through engaging lessons, sermons, and Bible stories each day. Each year we visit the home of a faith tradition different than ours and we tour a local agency doing God's work in the community. Crossways Confirmation Campers spend a day doing mission work in the Rock Island/Moline area. They might spend time with elderly folks at a local nursing home, play games with kids at a local youth center, or do landscaping work at the Botanical Center only to name a few!